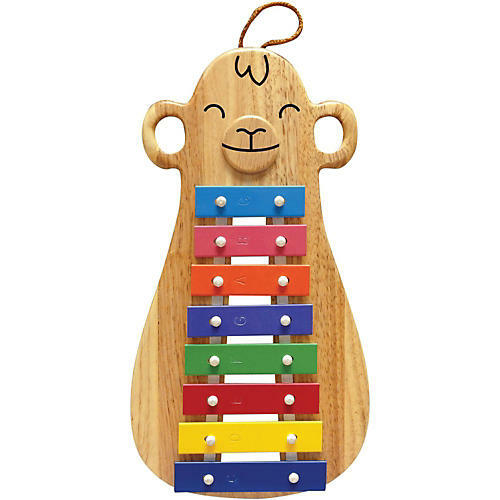 14.5" Rubberwood monkey design features a resonator chamber which enhances bar sustain. Eight precision tuned bars arranged in a C major scale provides an authentic musical experience and a pleasing soundscape. Easy to play flat or vertical and the colorful box packaging also houses two wooden mallets.